Hello! 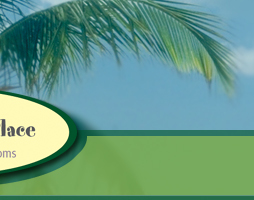 We are Audley & Elizabeth Mesquita, owners of Miss Ritty's Place in Ocho Rios, Jamaica. 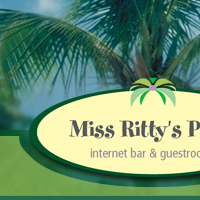 Miss Ritty's Place is an internet bar (currently under construction), including 2 guestrooms with bath for rent. We are the last left turn off before entering the Fern Gully at Harrison Town. 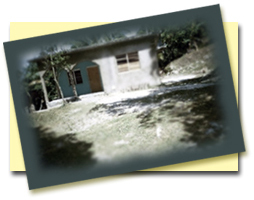 Miss Ritty's Place is nestled in the hills, a stones throw walking distance from Fern Gully and 2 miles from downtown Ocho Rios. Miss Ritty�s Place is a 3 bedroom, 2 bathroom family home. We currently have 2 guestrooms, one is a large bedroom with a queen-sized bed, dresser with mirror and fan. The smaller bedroom also has a queen-sized bed, dresser and fan. The common areas of the home include a full kitchen (complete with stove/oven, refrigerator, coffee maker, blender, cooking utensils and dishes). 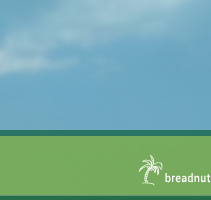 We offer laundry facilities, and hot water. Air conditioning is in the works. So, if you're if you�re on a day trip from one of the many cruise ships that dock in Ocho Rios, or you�re taking a tour of Fern Gully, the JUTA buses come right down Breadnut Hill, after leaving Fern Gully, in front of our place, so please drop by to experience an Irie time having a cool drink, checking out some souvenirs or checking your email.